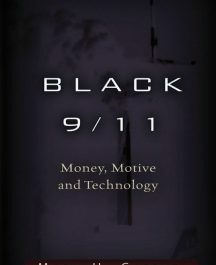 This book is a field guide to an important chunk of reality that’s been carefully hidden and wrongly discredited by the media. It reveals an extraordinary movement underway, a battle of epic proportions. Whether you know it or not, you’re involved because the result of this battle will determine the fate of your children and future generations both in America and around the world. However, you may only be vaguely aware of QAnon or “Q,” if at all. If you value the truth, you will want to learn about the QAnon movement and the battle that is being waged on your behalf to protect you and your children from abuse and enslavement. The war between Good and Evil is no longer merely symbolic. Evil is being tried and brought to justice in federal courts and military tribunals today. Criminally corrupt government leaders, celebrities, religious leaders, media figures, and corporate heads will be tried and punished for crimes involving treason, human trafficking, ritual sacrifice and unspeakable perversions. 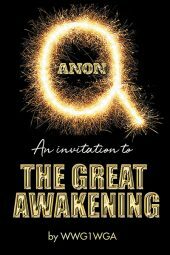 QAnon: An Invitation to The Great Awakening tells the history of an anonymous poster on the free speech websites 4Chan and then 8Chan and how he (or perhaps they) built a following of millions of viewers worldwide. With an insider’s knowledge of the battle plan (see “The Plan to Save the World”), and “Q”-level military intelligence clearance, QAnon’s communications are often cryptic and coded. QAnon is a master of the Socratic method, asking questions and imploring followers to do their own research, to be logical, and to think for themselves. 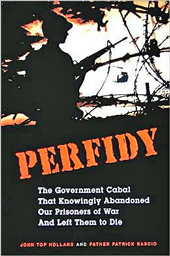 This book was written by 12 “Anons,” anonymous “Q” followers, decoders, and citizen journalists known collectively as “Where We Go One We Go All” (WWG1WGA). They each know a great deal about QAnon, each bringing their own unique perspective and experience. Together they give you an overview that may encourage you to learn more. 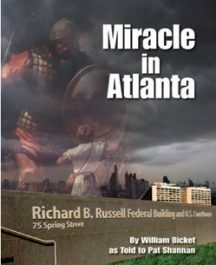 The one thing they are all convinced of: QAnon is not only real, but an insider with White House connections and this book offers many proofs to substantiate this claim. Have you been convinced by legacy media claims that “Q” is a hoax or a “conspiracy theory”? Instead, consider why the media would insist that you—a thinking and capable adult— should avoid “Q” at all cost? If a mere “conspiracy theory,” why all the attention? What ideas are so dangerous you should never hear them? Is there another side to the story? Read QAnon: An Invitation to The Great Awakening and judge for yourself. 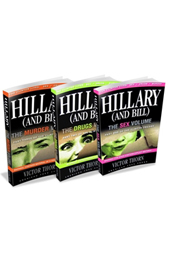 This three-book series is the most comprehensive examination of the Clinton marriage ever compiled! Over 1,000 pages!